Do a warm-up first. A tight, stiff body is asking for injury. Also remember to stretch well when you’re finished. 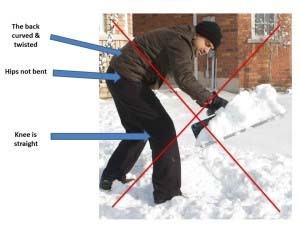 Shoveling is strenuous exercise for your muscles. Layer your clothing. Layered clothing will keep your muscles warm and flexible. Wear the right shoes. Choose shoes with plenty of cushioning in the soles to absorb the impact of walking on hard, frozen ground. Use the right size shovel. Your shovel should be about chest high on you, allowing you to keep your back straight when lifting. Drink lots of water. Drinking water frequently throughout the day helps to keep muscles and body hydrated. Use proper posture. 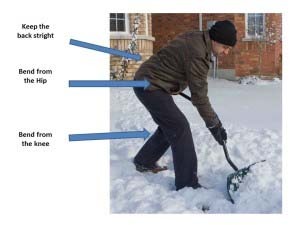 When you shovel, bend your knees and keep your back straight while lifting with your legs. Push the snow straight ahead; don’t try to throw it. Get out frequently. Don’t wait until the storm is over to start clearing out. It will be much easier and safer to clear a small amount a few times than to try and do it all at once. Switch sides. If you’re right handed, periodically switch and use your left hand and vice versa for you fellow lefties out there. Doing so will balance out the muscles more. See your chiropractor! Gentle adjustments keep your back flexible and minimize the chance for injury. If you do overdo it, get checked right away and don’t wait, hoping it will just go away on its own. Can't wait for my adjustment today after yesterday's storm! Glad to be here for you Angela! Always good to get checked!! We are glad that you were okay and then made it home safely! 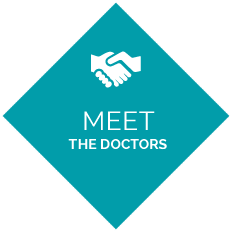 We are happy to be here for you!